A motorway bridge has collapsed near the northwest Italian city of Genoa, sending vehicles plummeting up to 90m (295ft) to the ground and killing at least 22 people, officials say. Vehicles fell along with bridge debris on to rail tracks. 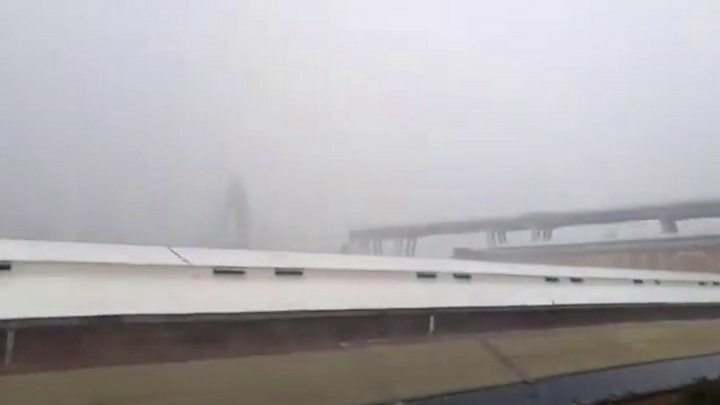 “It’s not acceptable that such an important bridge… was not built to avoid this kind of collapse,” Deputy Transport Minister Edoardo Rixi was quoted by Reuters news agency as saying from Genoa. French President Emmanuel Macron has tweeted a message of sympathy to the people of Italy, writing in both Italian and French. He said France was ready to offer any necessary aid. Rescue workers are operating “en masse” at the scene, regional emergency services say. Work to shore up the foundation of the bridge was being carried out at the time of the collapse but the structure was constantly monitored, the motorway operator was quoted as saying by Reuters.